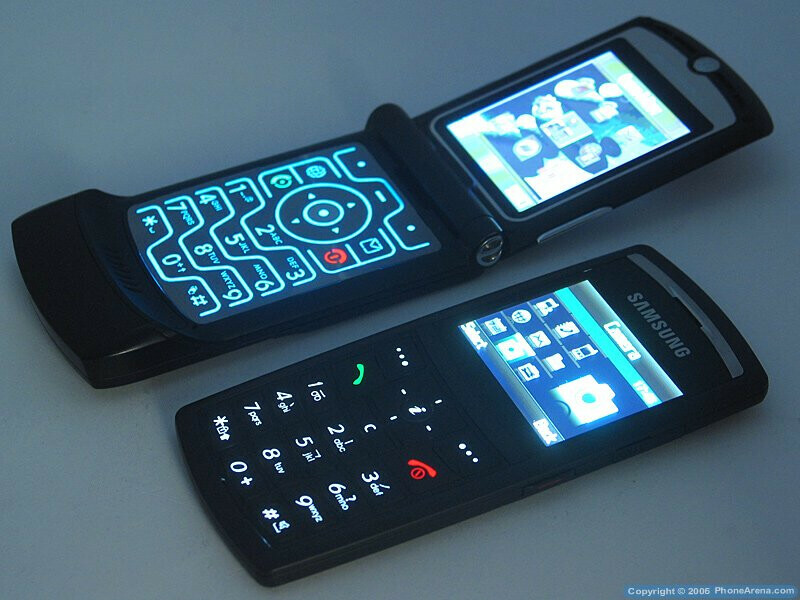 The Samsung X820 is an attempt by the Koreans to eliminate Motorola and their RAZR and SLVR which dominate the slim phones market  and that's a nice try. 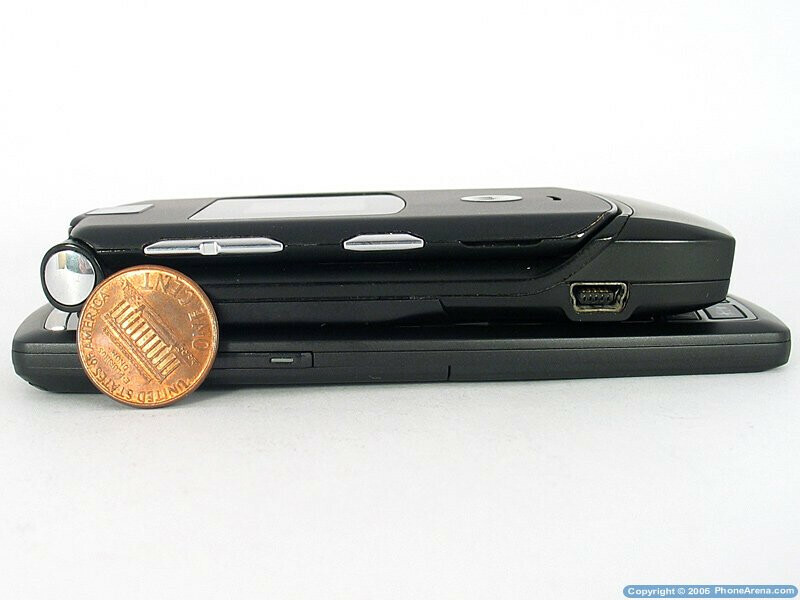 Its thickness is 0.30 inches (6.9mm) which is 4mm less than the SLVR L7 and half the thickness the legendary RAZR V3! X820 is a tri-band phone aimed at the Europe market, but is expected soon to be launched by the T-Mobile USA as the SGH-T519. Size-wise it feels very comfortable both when held in the hand and when carried in the pocket, where it's hardly felt also thanks to its weight of only 66 grams (2.3 oz). 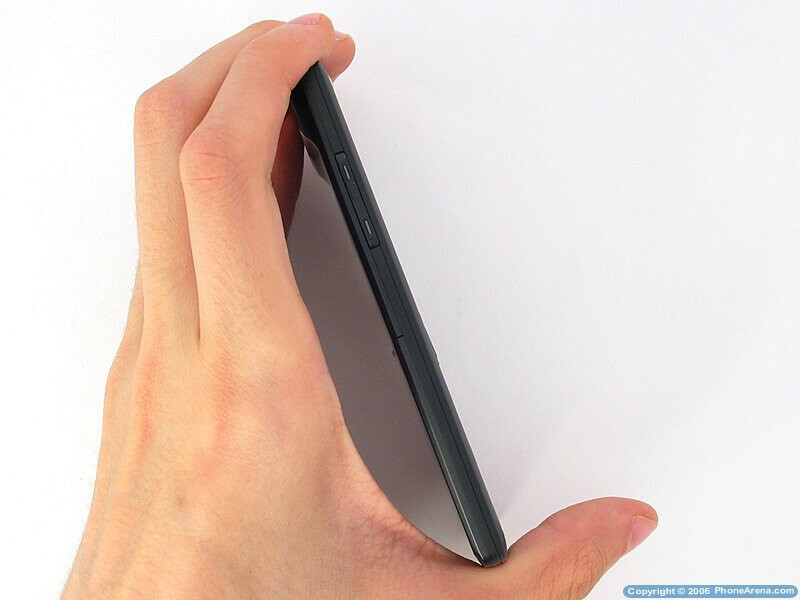 The only inconvenience design wise is the bump on the back of the phone, which is there because of the 2-mpix camera. The construction is solid and there are no annoying sounds or movement when using the phone  not even slight ones from the battery cover. 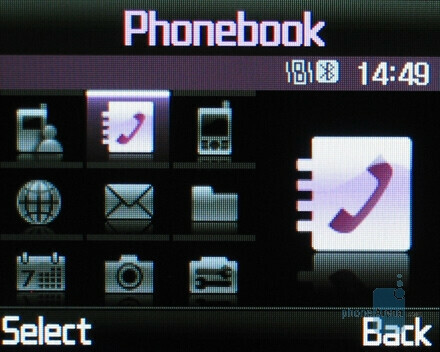 The body of the phone is black and the buttons are in dark grey, while there is a metallic stripe just above the display, next to the loudspeaker. The display is a 2-inch one and the picture quality is clear, with exceptionally vivid colors, razor-sharp contrast and very pleasant to look at. Unfortunately, it is almost impossible to use it in direct sunlight and nothing can be seen, unless you shadow the screen with a hand. The resolution is 220x176 pixels which is more than enough for the size of the screen and the picture quality is just brilliant. The buttons are comfortable to use; they are plastic and when pressed offer excellent response. They are easily distinguished when you move your finger over the surface of the keypad, which helps make typing mistakes rarity. There are three side buttons and using them is not a problem. Two of them are for controlling the sound volume and the third launches the camera. The only inconvenience about the keypad is the central navigation button as it does not open the Main Menu. Instead, it launches the Internet browser if you are in Home screen view - just like in older Samsung phones. Another thing is that when we wanted to press this button, we often pressed the directions in error. The phone's interface is interactive and very easy to get used to. 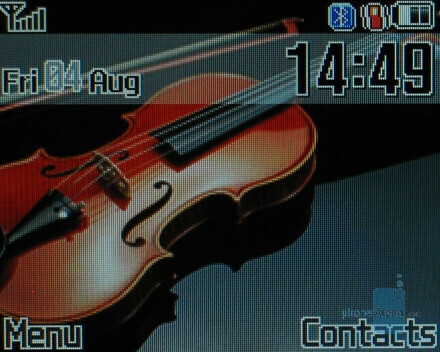 The Home screen displays the standard system information while the operator logo can be hidden. The four directions of the navigation key act as shortcuts and the two soft keys are used for accessing the contacts and main menu. The latter consists of 3x3 icons, while located to the right of them (because there is enough space thanks to the landscape display) a picture of the currently selected icon is visualized in larger view. The menu is well designed but the only thing that can the customized about it is to change it form black to grey color. 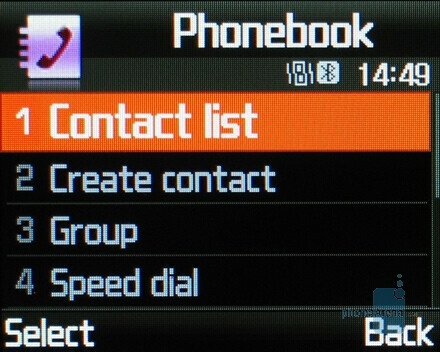 The Contacts menu is visualized as a list. A picture is not displayed next to the name even if there is one added. If it's accessed through the soft button on the home screen, you cannot add a new contact. 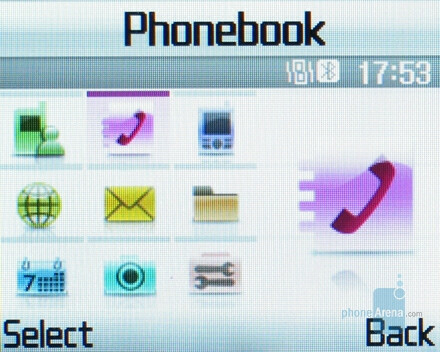 You have to enter the number right from the home screen and then choose to save it, or you have do it by accessing the Phonebook from the main menu, and then  Create Contact. You can assign a few numbers, ringtone and group to each contact. A Caller ID field is missing but you still can assign a photo to a contact when browsing the pictures in the phone. 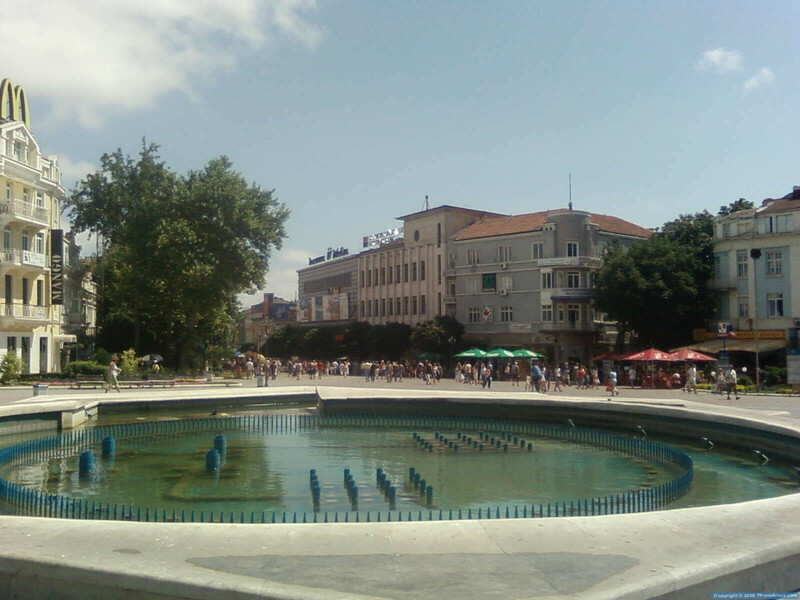 They are displayed in a relatively large size when the corresponding contact is calling. The Organizer does not impress with anything new. 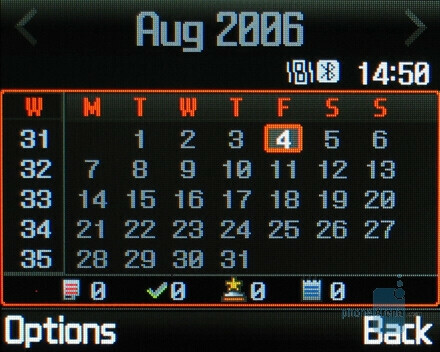 Most of the options are located in the Applications menu, while the Calendar is placed separately. 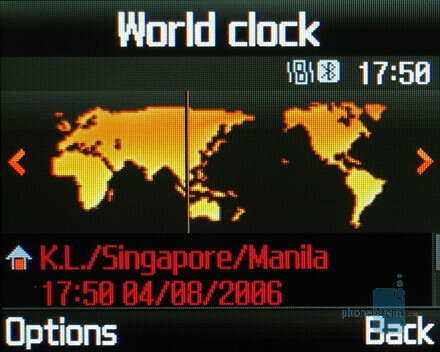 The converter and the World Clock are useful and the Voice Recorder (records in .AMR) features a nice but unhandy interface. The phone's memory is 80 MB and there is no slot for expanding it. There's nothing to surprise you in the Messeges menu too. You have TXT, MMS and Emails, while you can also use templates, but you have to add them by yourself as there are none present. 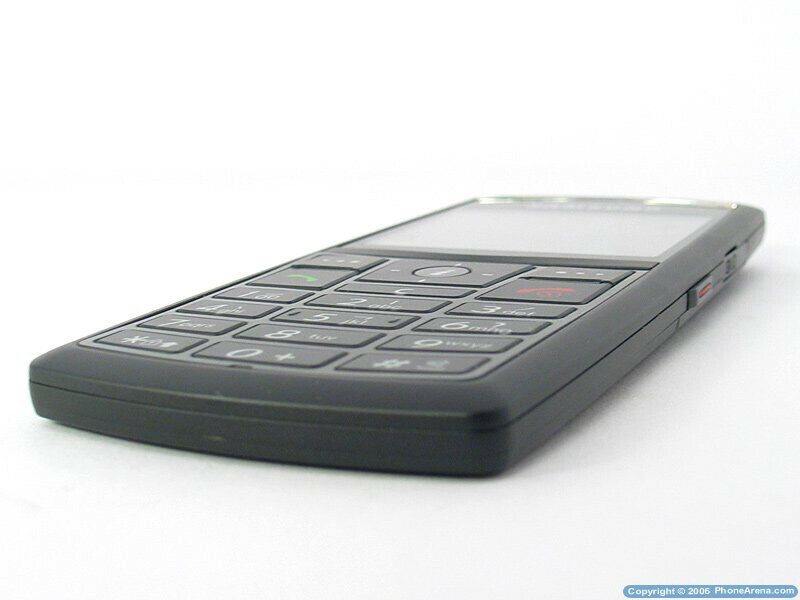 Entering text is fast and handy thanks to the T9 and the interface is simple and easy to use. Connection with other devices is established through Bluetooth and USB, while the latter is used only to connect the phone with PCs via cable (included in the package) which is attached to a slot on the right side of the phone. Samsung has provided software for synchronization which is convenient and features a nice interface. The Bluetooth version is 1.2 while it also supports the A2DP profile for stereo music. The X820 supports both GPRS and the faster EDGE for Internet connectivity. Starting the camera takes about four seconds when the side key is held. Its interface is not quite practical as you have to go through menus for each option. 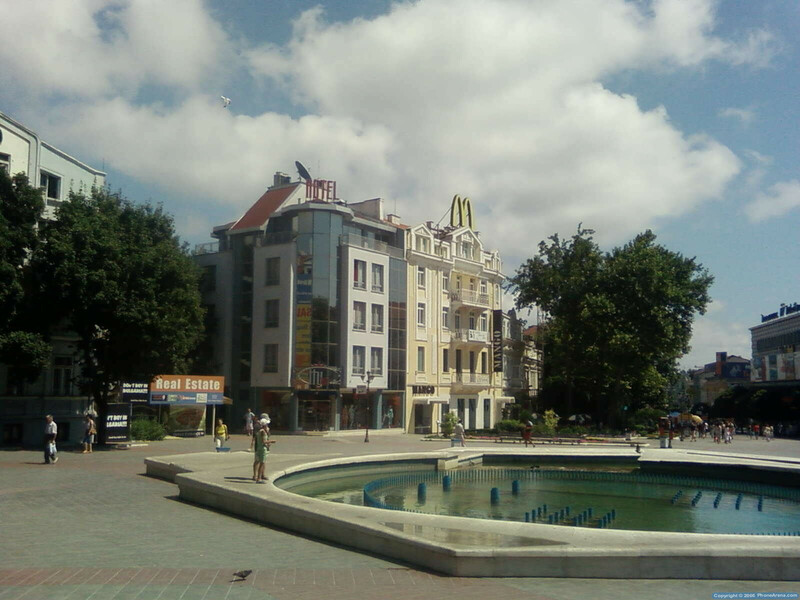 The resolution is 2 megapixels and pictures taken outdoors look good, but the colors are not deep enough. Video clips can also be recorded while the maximum resolution is CIF 352x288 pixels; they are in MP4 format with sound and Zoom capability. The video quality is relatively good having in mind that it's a phone. The music player supports playlist and adding the selected files is easy. It features a few different equalizers, as well as couple of visualization types but none of them is real. The sound of the integrated speaker is quite loud and sounds really good; you can also use the headphone included in the kit, as well as any Bluetooth stereo headset. The music player can play in background mode while you use the phone to do other things. Overall, our experience with the player was really nice. The phone comes with two games in it, and you can also install JAVA applications. There is a slight lag-time when surfing through the menus of the phone and it's becomes a little annoying when loading large pictures but that's normal. The sound of the phone is very good. The ringer and the music volume is high and the songs sound clear and nice. 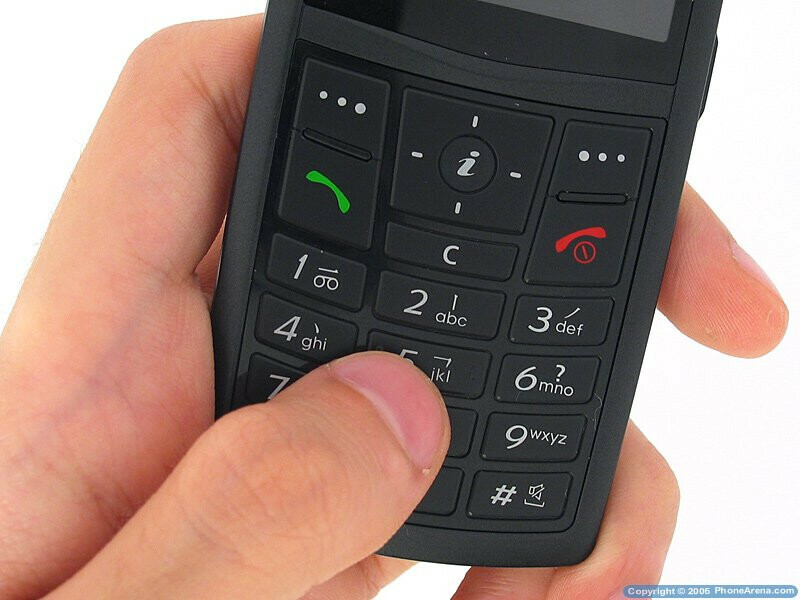 You can also turn the vibration alert on if you wan to make sure that you won't miss a call, but unfortunately you cannot have the phone ring and vibrate at the same time. The sound during conversation is loud and clear both in your earpiece and the one your microphone transmits to the person you're talking to. The Speakerphone is very loud and clear. Samsung claims that the battery last for 2-3 hours talk time and up to 9 days in standby mode, these vary depending on the way you use the phone, as well as various conditions, like the signal power for example. The X820 is not only the slimmest candybar style phone at the moment but it also features a very impressive display, excellent set of function and overall using it is a great pleasure. The ringtones sound very good and the sound during conversation is loud and very clear. A drawback is that you cannot use a ringer and vibration alert simultaneously. 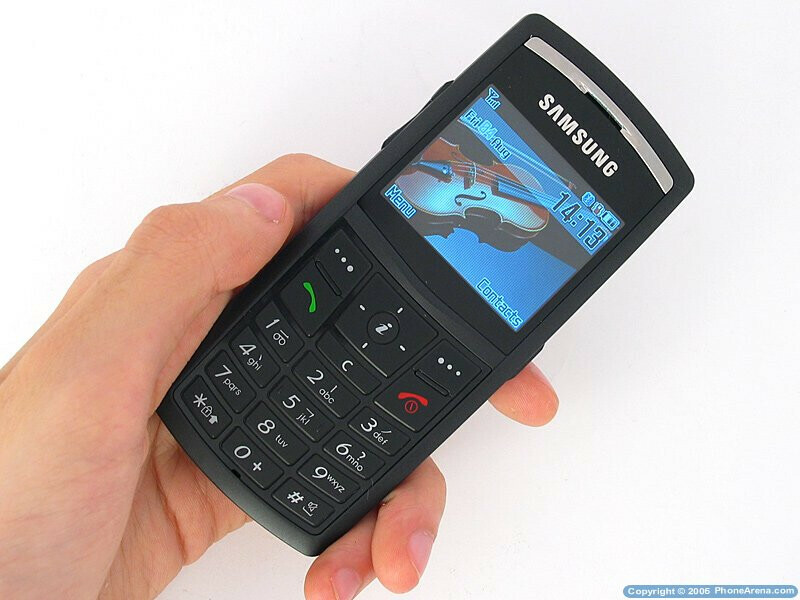 Samsung has managed to create an exceptionally thin and solid construction and also incorporate a bright display (which is impossible to use in bright light unfortunately), 80MB memory and 2-megapixel camera which produces good pictures for its resolution. Small size, 6.9mm thickness, well-made. 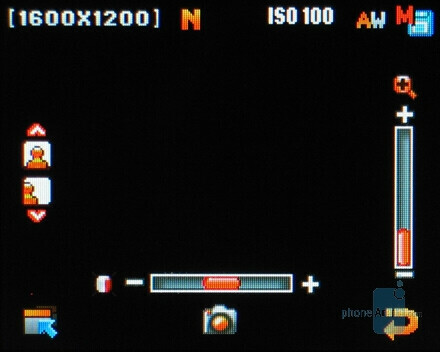 2-megapixel camera with high resolution for video capture. Wonderful sound quality both for rigning and during conversation. The Display is impossible to see in bright light. Slight lag when navigating through the menus.